JBL Flip 3 vs. JBL Charge 3—Which should you buy? Bluetooth speakers are a dime a dozen nowadays, but the core concept is still an attractive proposition. A wireless speaker that plays your music any time anywhere? Hell yes I like that. In the early days, Bluetooth speakers… sucked. And they sucked out loud—most of them didn’t quite have the bandwidth or the guts to sound all that great, but with the advent of better Bluetooth connectivity: that’s not true anymore. Now, there are plenty of speakers that can handle the task well, and it can be tough to separate the wheat from the chaff. JBL in particular has two standouts in the entry-level market: the Flip 3 and the Charge 3. At first glance, there really isn’t a whole lot that differentiates the Flip 3 at roughly $80, and the Charge 3 at roughly $150. 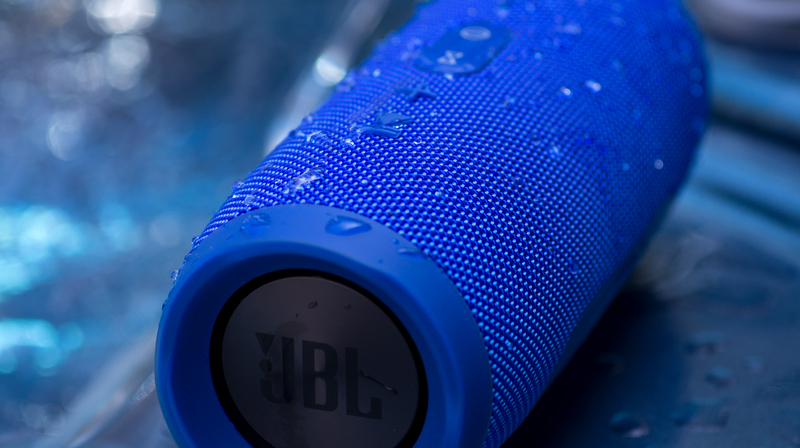 Both are pill-shaped Bluetooth speakers that can take a splash or two, both boast the ability to connect with other speakers using the JBL Connect feature. Both speakers have two powerful bass ports on the sides of their bodies, and both speakers come in a variety of colors. But these aren’t the same products, so before you buy the Flip 3 and fry it in the bathtub (or spend more than you have to on the Charge 3): let’s dive in. 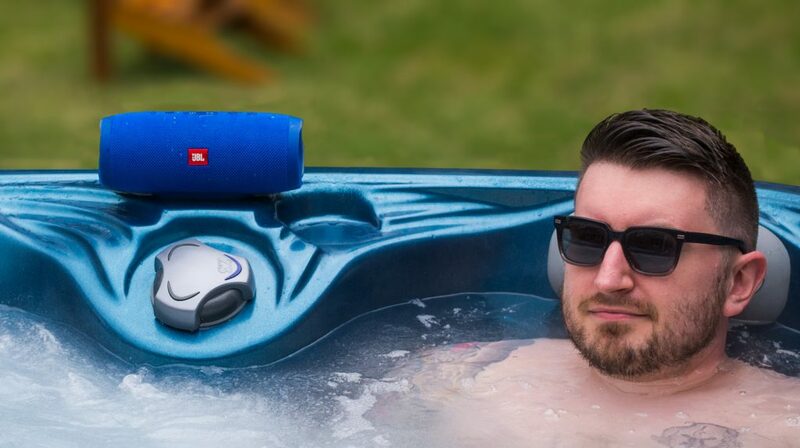 If you want tunes in the hot tub, you want the IPX7-rated Charge 3. The Flip 3 is a small 2-channel speaker with great sound for the price, and even without the splashproof exterior: one of the best Bluetooth speakers you can buy under $100. A 3,000mAh battery affords up to 10 hours of playback before you need to recharge, and even then it only takes 3.5 hours to do so via the included microUSB port. On the top are basic controls that allow you pair the speaker, control volume, play/pause music, and use the speakerphone feature of the Flip 3. Additionally, a nylon loop allows you to hang the speaker from a hook, or other such assembly. Next to the controls is a small plastic door that can be opened to reveal the microUSB port, and the auxiliary 3.5mm input. You can read Adam Molina’s review for more. The Charge 3 is essentially the Flip 3 on steroids. At just under twice the list price, the Charge 3 has bigger speakers, more power, and a chassis that can be submerged in water for up to half an hour without frying the insides. When you’re not using the Charge 3 in the shower, you can enjoy the same connectivity afforded by the Flip 3—and even bleed some power from the speaker to charge your phone in a pinch. We’ve covered this one in more detail in our review of the Charge 3. Listen to music on the mountaintops? The Flip 3 is the better bet for hikes. The Flip 3 is easily the more portable of the two speakers, and can be carried around by hand without much fuss. If you need a speaker to go with you everywhere, the Flip 3 is your product; no question. Testing the Flip 3 and the Charge 3 side-by-side was fun, but ultimately a foregone conclusion. Both sound fantastic, and both scratch the itch of quality and convenience… but the Charge 3 just has a lot more ability to fill a room with sound. It has bigger drivers, bigger bass ports, and much more power. Though the Flip 3 is mighty impressive for under $100, it’s fighting an uphill battle if you’re looking for a poolside or at-home speaker. While the Flip 3 may sound better to a critical ear, the Charge 3 is going to stand out more in varying environments. The Charge 3 gets louder than the Flip 3, making it better suited for the outdoors. But neither of these units are perfect. For example, neither supports the high-bitrate aptX Bluetooth standard, and neither speaker is going to sound better than a high-end setup. Really, they represent a compromise for convenience. I will say though, that many users online seem to prefer the sound of the JBL Charge 2+, as it seems to do a little better with mids. While I had the Charge 3 playing in the shower, I had mistakenly turned up the volume to hear vocals better—and I damn-near had a heart attack when the kick drums came booming in. The Charge 2+ doesn’t come with the same waterproofing as the Charge 3, so if sound is your only concern, you may want to check this model out to save some money. Which speaker is right for me? 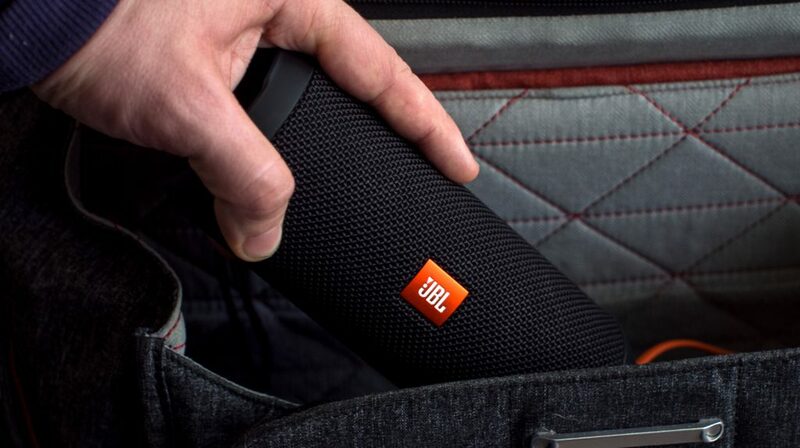 The JBL Flip 3 is the perfect speaker to stow in your bag. Beyond those concerns, you can’t go wrong with either.